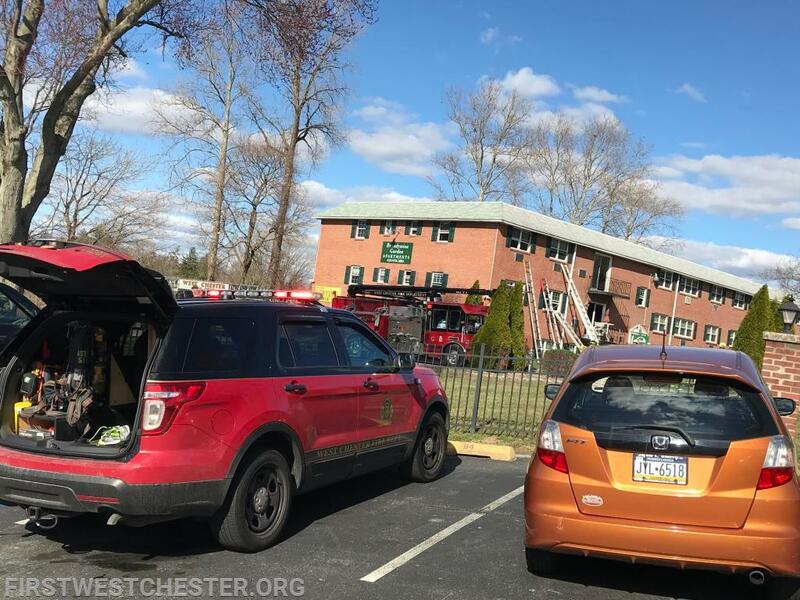 On Sunday, at approximately 15:41 PM, the West Chester Fire Department was dispatched to the Brandywine Garden Apartments in West Chester Borough for an apartment fire. Quickly after dispatch Engine 51-2, Assistant 51 went enroute. Followed by Engine 52-2, 51-1, and Ladder 53. 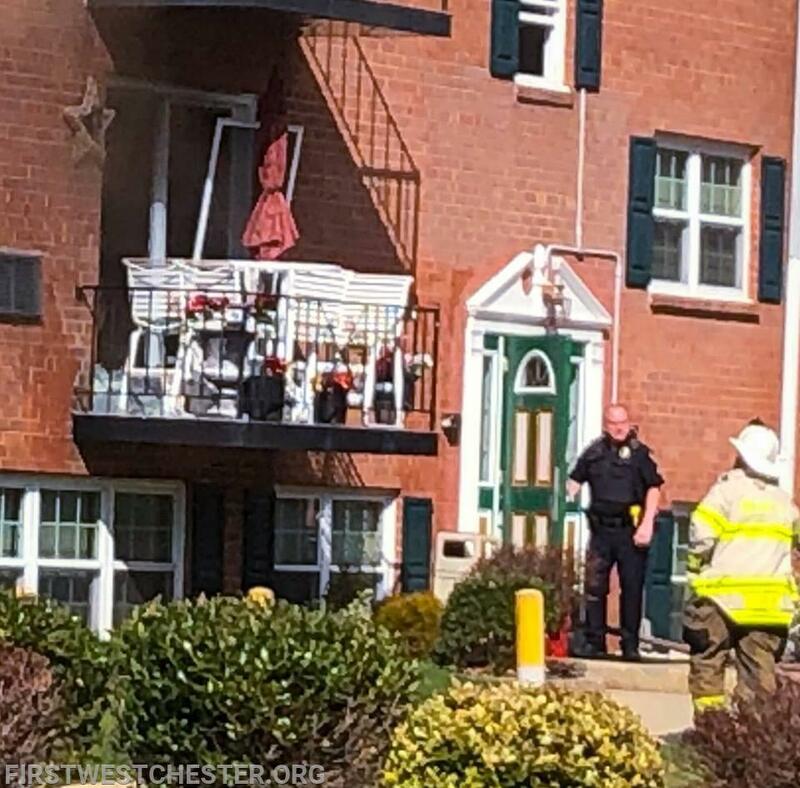 Engine 51-2 and Assistant 51 arrived to find a three-story apartment building with smoke showing from a second floor apartment. 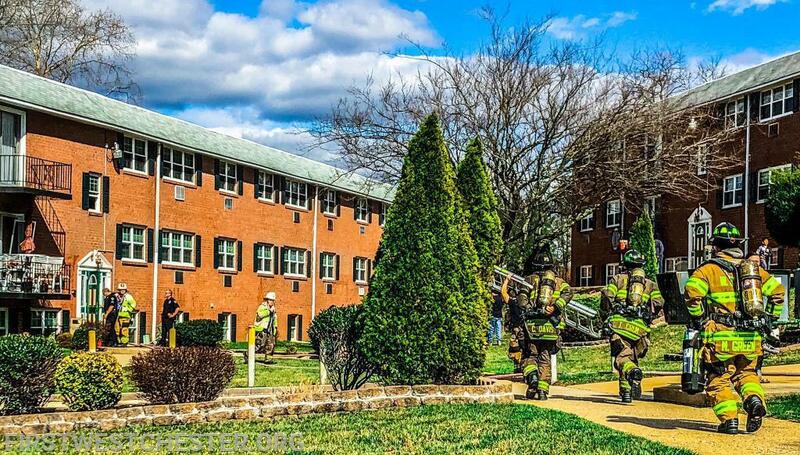 Occupants of the building who had evacuated to the courtyard reported that there were possibly people trapped inside the apartment involved. 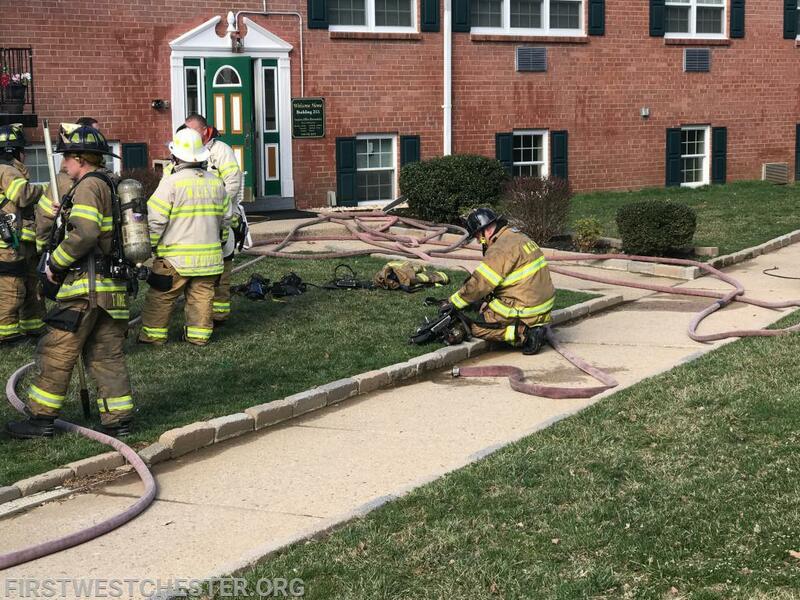 Upon arrival the incident was upgraded to a Working Fire, adding Rescue 54 (Goshen Fire Co.) for the RIT assignment. Engine 52-2, 52-1, Air 52, Assistant 52 made the response. 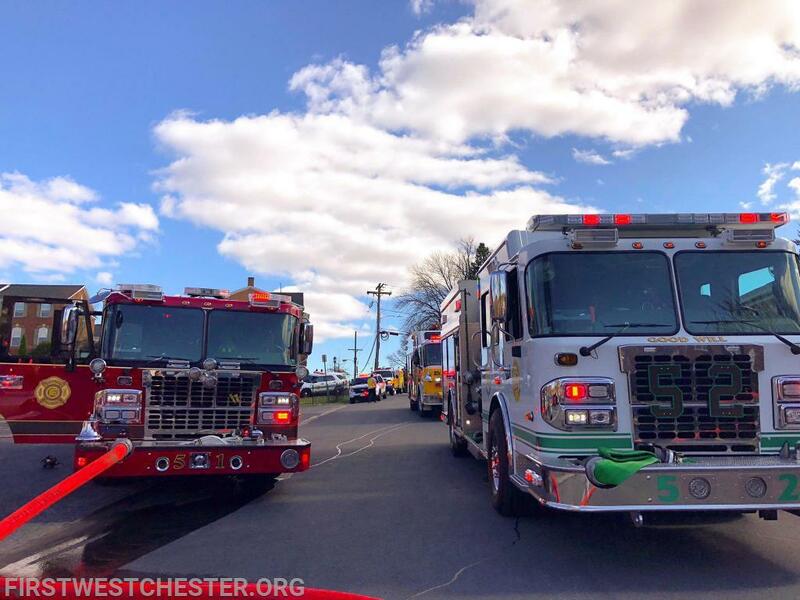 Photo Credit: First West Chester Fire Co.